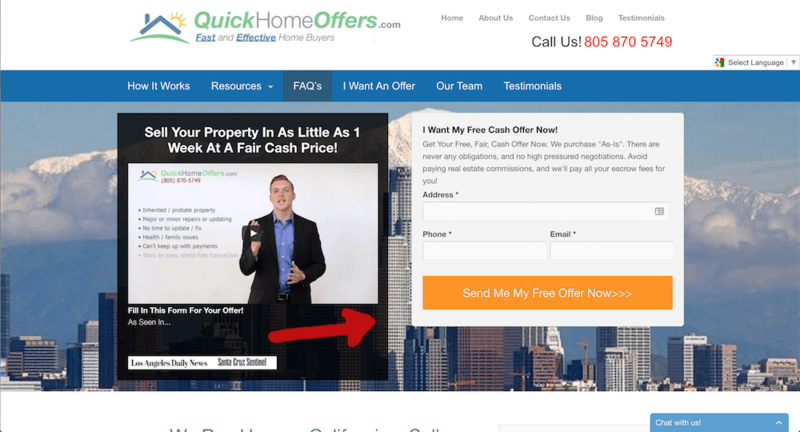 These are short, actionable tips for improving your real estate website’s SEO. We get asked all the time if a domain name matters for SEO. The answer is yes and no. The more important question is how you want to brand your website. You can either brand your website with a name or a location. The location will restrict your ability to market outside of your initial target market. For some investors that is not a problem. We published more information about branding considerations here. As for having a keyword rich domain name. Check out our thoughts here. The short answer is, not everyone will be able to grab a keyword rich URL and you shouldn’t worry about it. Keywords are one of the most important aspects of SEO. A keyword is what word you are placing the most importance on for Google to know what the page is generally about. If you have never done keyword research, not to worry, it’s really easy. 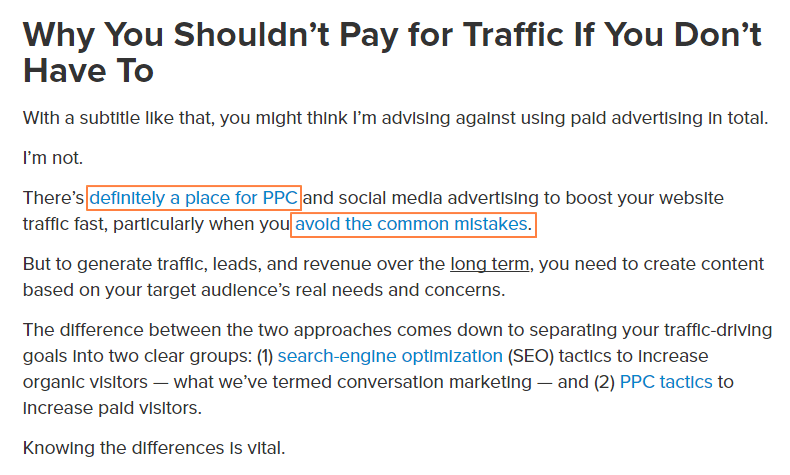 You can start by using Google’s Keyword Planner Tool. If you want to know which keywords we have identified as the best keywords to target on your website, grab our SEO Bible. One of the newer updates to Google’s algorithm is analyzing how engaging your content is. Google tracks this a couple of ways, like how long a visitor stays on your page, how many pages they view, and how fast your website can load pages for a reader. We will talk more about responsive design and fast page load times. But in order to engage a reader, try to answer a question you know they have. Not sure which question to answer? You can start with the keywords they are typing into land on that page. Mix up your content between written words, audio, video, and visuals when it makes sense. Years ago Google search results would limit title tag length based on the number of characters. Now they do it a bit different. They use pixels (the current limit is 512 pixels). No one should count pixels, we recommend you just count characters. And we’ve found that staying under 60 characters will keep you under the pixel limit most of the time. There have been studies that suggest this might not give you the biggest bump in SEO rankings but it’s still important. When a visitor lands on your website they need to know what you are offering. There is a good chance they want to read about the keyword that got them there. Your website’s content should help them realize they are in the right place. Shorter URLs can help a user understand what the page is about before clicking on it. It also makes it easier to remember if they want to return to the page in the future. Backlinko.com conducted an analysis of 1 million Google search results and the test revealed that shorter URLs performed slightly better in Google than long URLs. This is not to say that having long tail keyword URL’s hurts your SEO. But from a users standpoint, if you are able to quickly inform them of what the page is about, you should try and do it. An image can do a lot for your website. It can add something interesting to look at, break up text, and give the search engine a better idea of what’s on the page. If you keep readers engaged with your content it helps Google know that the content is worthwhile and to keep serving it up for search terms. And considering Google is paying more and more attention to user experience signals, anything you can do to keep visitors on your page is a big help. Here is a great example of using images to break up text. This likely will not give your website a big boost in the search rankings. But don’t write this off as a reason not to create these pages. First of all, you can include your company name on there which helps (especially since it will be linked on every page of your website in the footer). But another good reason to have these pages is that it helps Google and visitors see that you are legit. It might make some people suspicious if you are calling yourself an investor and don’t have any legal type of content about what you do and who you are. We have found that these pages do get viewed so it’s best to have them. 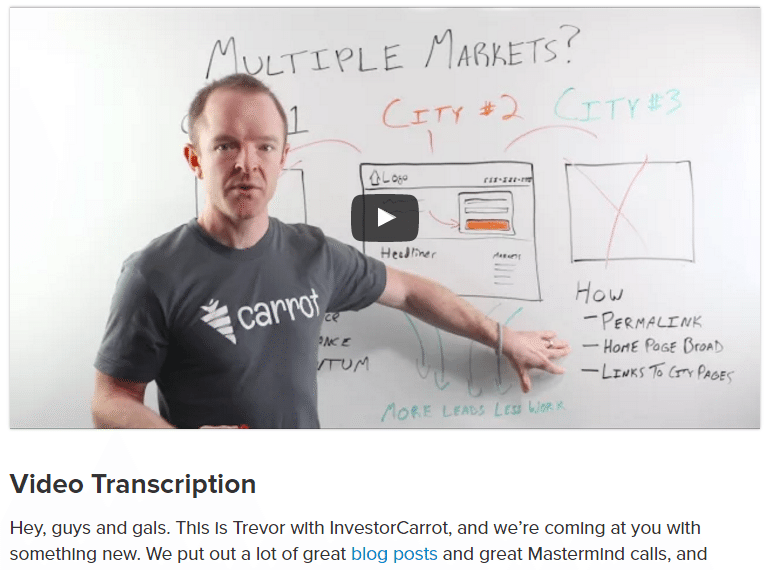 InvestorCarrot websites include these pages in the footer by default. There are some SEO experts who recommend putting your keyword in your anchor tag (that is the text in your links). It is definitely okay to do it some of the time. A while ago there was an update to the Google algorithm and it was called the Penguin update. 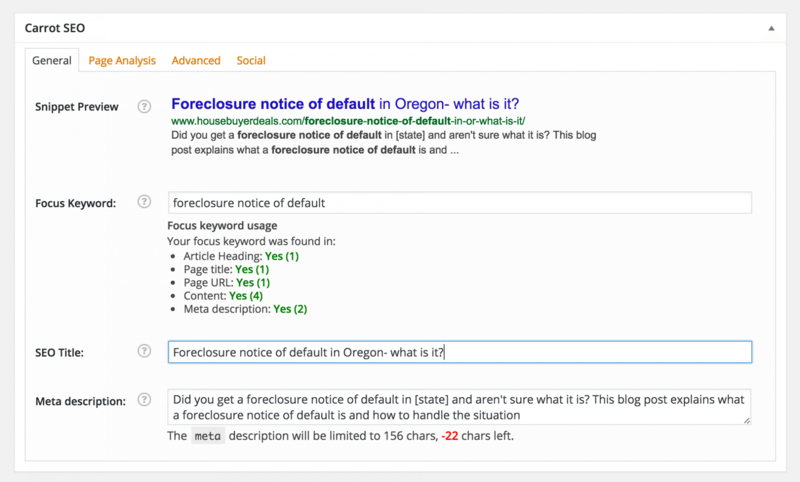 The changed penalized websites for over optimizing anchor text with a bunch of keywords. When you are creating content, think about the visitor and make your link text help them understand what they are clicking. Don’t worry as much about stuffing keywords in there and you should be fine. A resources page can be a simple, quick, and easy way to get a bunch of links on a page that are really helpful to a website visitor. Find a few resources that a website visitor might look for. Include them on the page and then email the person who you link to and ask them to check out the resource you included them on. Here’s an example of a resource post we recently did on our blog. Google will give you some suggestions on what other keywords are related to your search. Just use Google search to find some keywords you think leads are typing in and at the bottom of the search results you will see what Google is relating that search to. 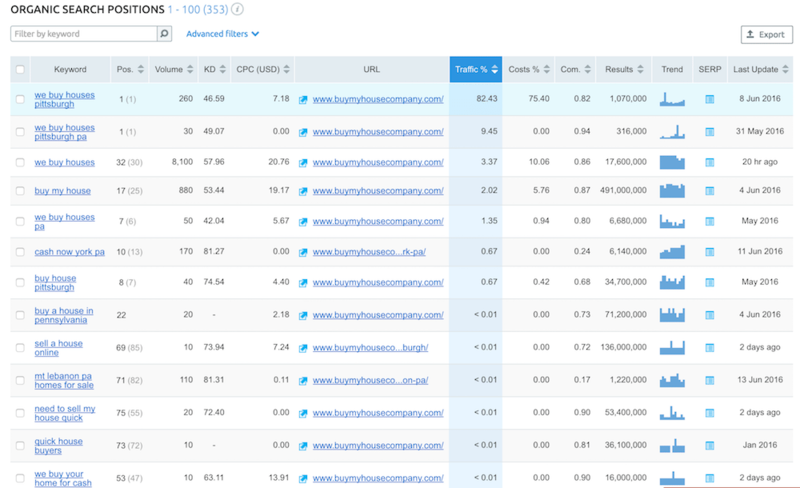 SEMRush is an awesome keyword research tool. It has a ton of features to help you with your website’s SEO. But what SEMRush is best at is to help you find what keywords your competition are currently ranking for. So put in a keyword or their domain and see what comes up. You can find the keywords in their title tag, their meta description and try and optimize that for yourself. 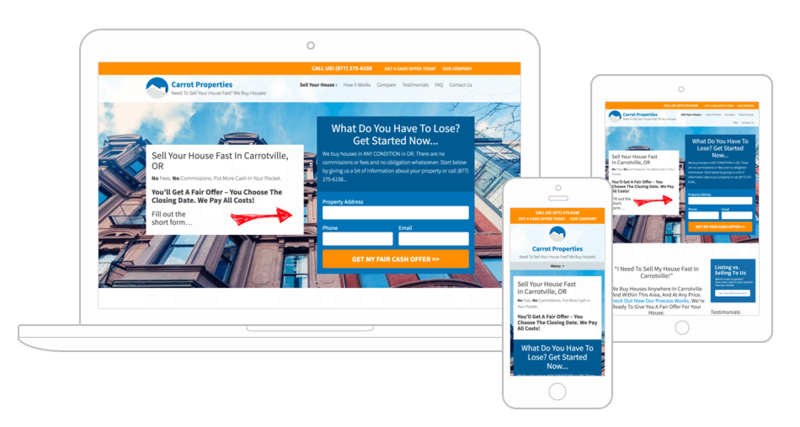 InvestorCarrot members see a lot of traffic from mobile devices. You should make sure your website is mobile-friendly. Not sure how to do that? Use our free tool here. Why do you want your website to load fast? Google wants to send users to pages with quick load times because no one wants to wait for answers. Want your site to load faster? Just like anything in business, you get what you pay for with hosting. If you have a web guy, ask him to look at website’s speeds. InvestorCarrot sites are built and hosted on secure and fast servers. We are constantly improving our member’s website’s speeds. Adding transcriptions to your videos is a great idea for a couple of reasons. 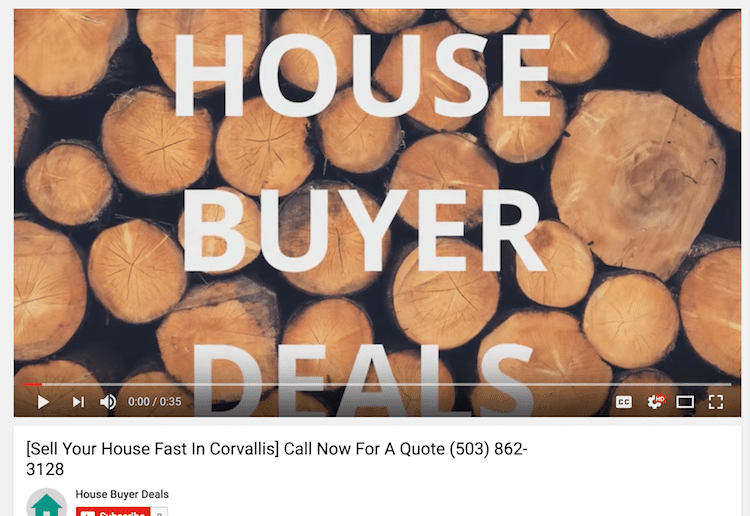 To make your website more accessible for all visitors (especially those who use screen readers), having text go along with your videos is a good idea. Also, Google can’t crawl a video and know what content it covers. Having a transcript gives Google the information it needs to decide what the video is about. You can see an example on our Strategy Sketch videos. If the video is a YouTube video, these embeds will boost views (and therefore rankings). Either way, embedded videos can significantly improve your bounce rate and dwell time numbers. Remember: Google still needs to try and figure out what your video is about. Why don’t you help them out? But when you include your target keyword (at least once) in your video’s filename, title, and description you’ll help Google and YouTube understand your video’s topic. The amount of likes your videos have tells YouTube (and Google) how important the content is. Instead of WISHING people hit “like” on your video, why not just ask them? First, your playlist can actually rank in YouTube’s search results. Second of all, it helps Google and YouTube know which videos and playlists to suggest if it can get a good idea of what is included in the playlist. The results from most experiments are clear: Google pays attention to the keywords that appear in your URL. And why wouldn’t they? A URL is a strong indicator of what your page is all about. People will spend more time on your site when you make your content easy to read. Brackets have been shown to significantly boost CTR. The main reason for this is it calls attention to your idea and allows your copy to stand out from the crowd. Want to optimize your description tag for clicks? Write a clear and compelling case for why someone should click on your result. We recommend you use your exact keyword in the page’s H1 and H2 tag. But if we feel that the page is over-optimized, you can replace the exact keyword with a synonym instead. 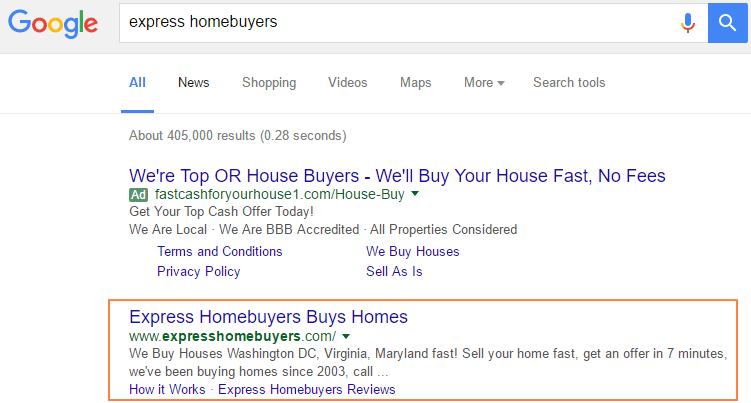 So if your target keyword was “Sell Your House Fast” you could use a term like “Quickly Sell Your House” in an H1 or H2 tag. If a visitor wants to share your content, don’t make it any harder than it needs to be. Each post and page should have a social sharing button easily visible. Don’t forget mobile users too. Social shares let Google know that your content is in demand. Yes, your homepage usually has a ton of authority. But in general, homepages can be hard to rank at times, especially if they are light on content. 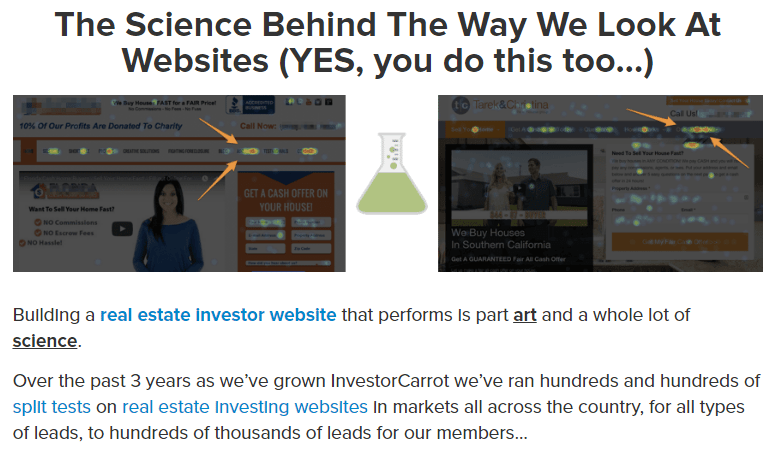 That is one reason why we have included more content on InvestorCarrot home pages. We love to see home pages rank (and they often do). 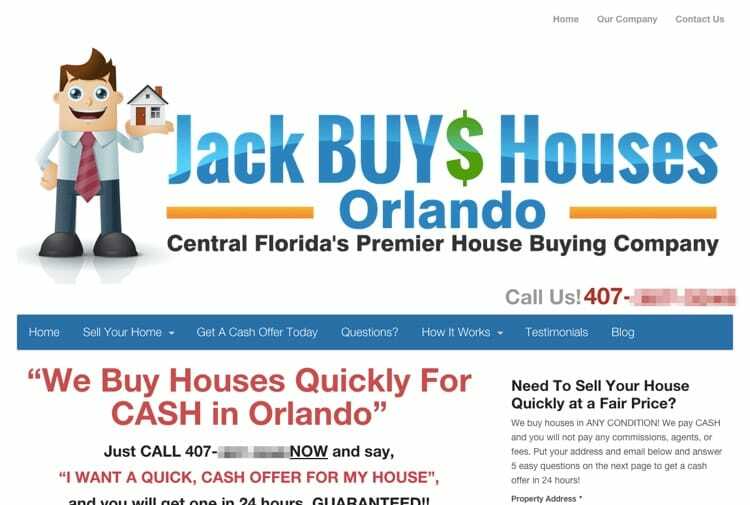 But you should focus on branding and conversions because a lot of your internal pages link to the home page and there is a good chance if someone comes to your site from a blog post or landing page that they will make their way over to your home page. 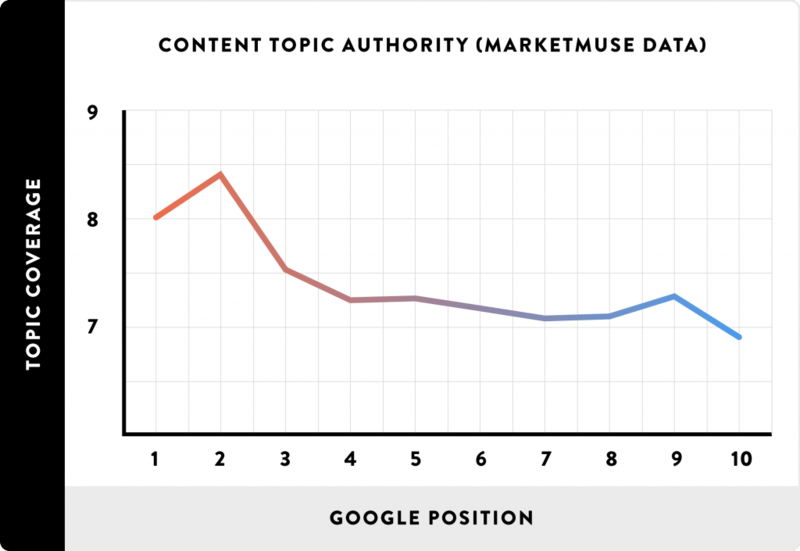 Several industry studies have found a correlation between long content and higher rankings. 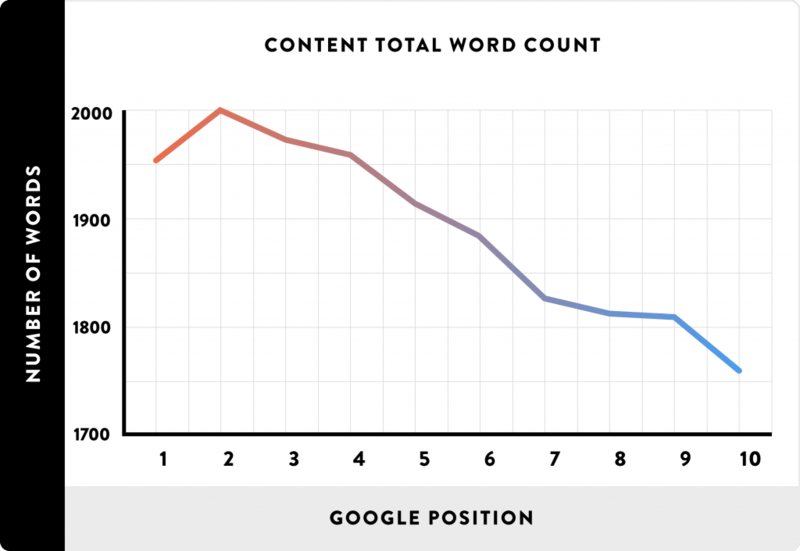 This doesn’t mean that by writing longer content you will show up on the first page of Google. But there’s plenty of data out there to show that publishing 1000+ word content helps. Just tell Google what other pages on your website are on the same topic. Here’s how it could work. Link FROM a ranked page TO pages you want to rank. 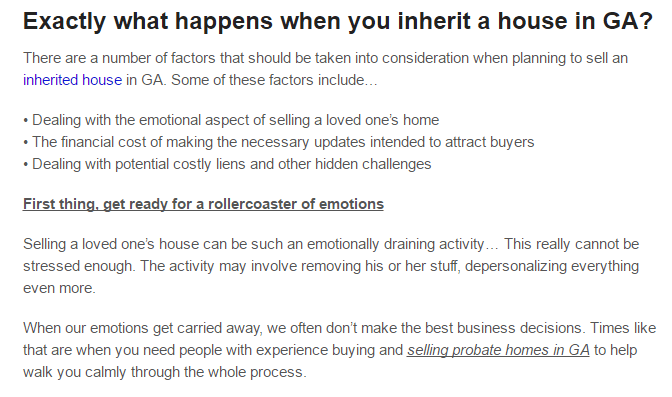 Here is an example on the Carrot blog of us linking to other content on our blog. Backlinko’s search engine ranking factors study found that in-depth content significantly outperformed shallow, surface-level content. Google can’t actually see what’s in an image. Instead, they use image metadata — like the image filename and alt text — to understand what’s in that image. Therefore, it’s a good idea to fit a keyword in with the image when it makes sense. To avoid keyword stuffing simply write your alt text like it’s a caption. This tip can take some time to create but it is worth it if you are knowledgable about your investing strategy. Basically, just create a list of terms that you use on your website and explain them to a visitor. Imagine all the questions a lead might have and what terms you use to describe them. Just explain basic concepts in list form and link to the glossary when it makes sense. First, find the most popular books on your topic on Amazon. Next, check out the table of content’s. 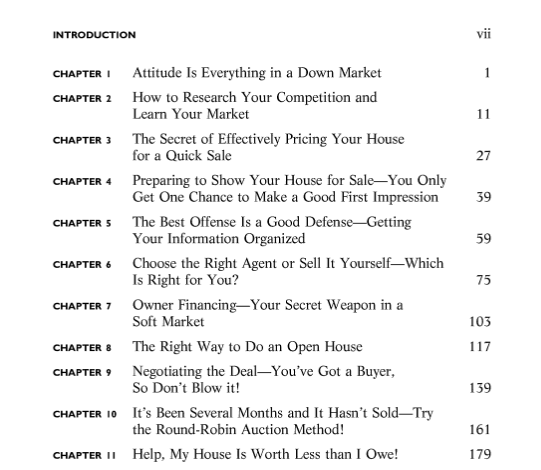 Each chapter it a potential topic/keyword idea. Sitemaps help Google find (and index) your site’s pages. So make sure to create an XML and HTML sitemap of your site. And submit them to Google via the Google Search Console. If you are an InvestorCarrot member the sitemap is already created for you. We have a tutorial on it here.